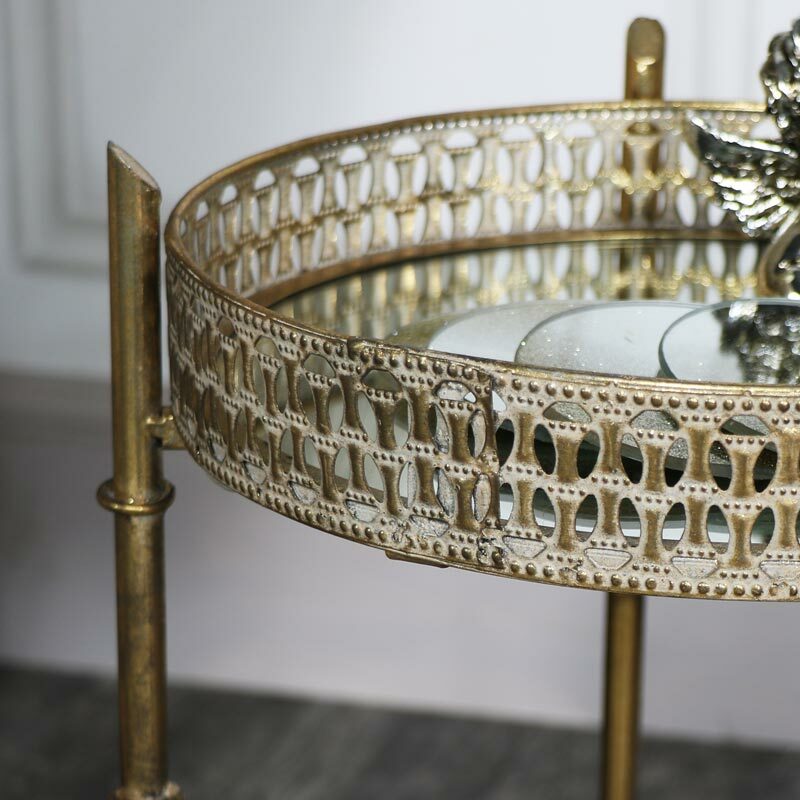 Add some vintage chic to your living room decor with this beautiful tray table. In an ornate antique gold colour, this table has a removeable top with folding legs so can be easily stored away when not in use. A round mirrored top, encircled with ornate cut out patterned detailing and sat on gold legs that will add that feel of elegance and sophistication to a living room. Measuring 30cm in diameter, this makes the perfect little serving tray or use as a glamourous coffee or display table. Use as a candle display, the mirrored top will beautifully reflect the candlelight and help to create a warm glow in your room. 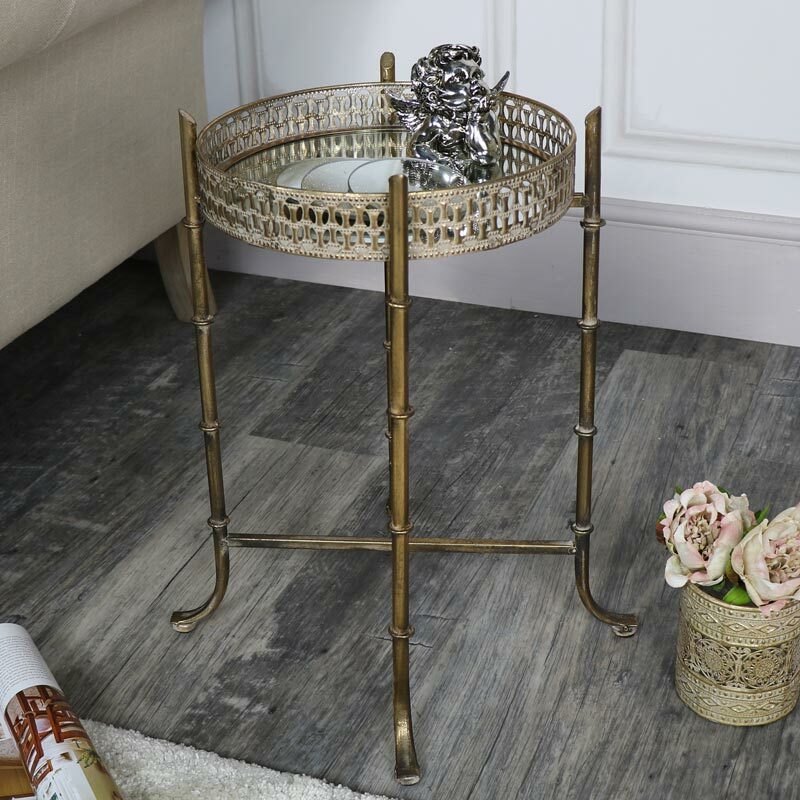 Add some vintage chic to your living room decor with this beautiful tray table. In an ornate antique gold colour, this table has a removeable top with folding legs so can be easily stored away when not in use. 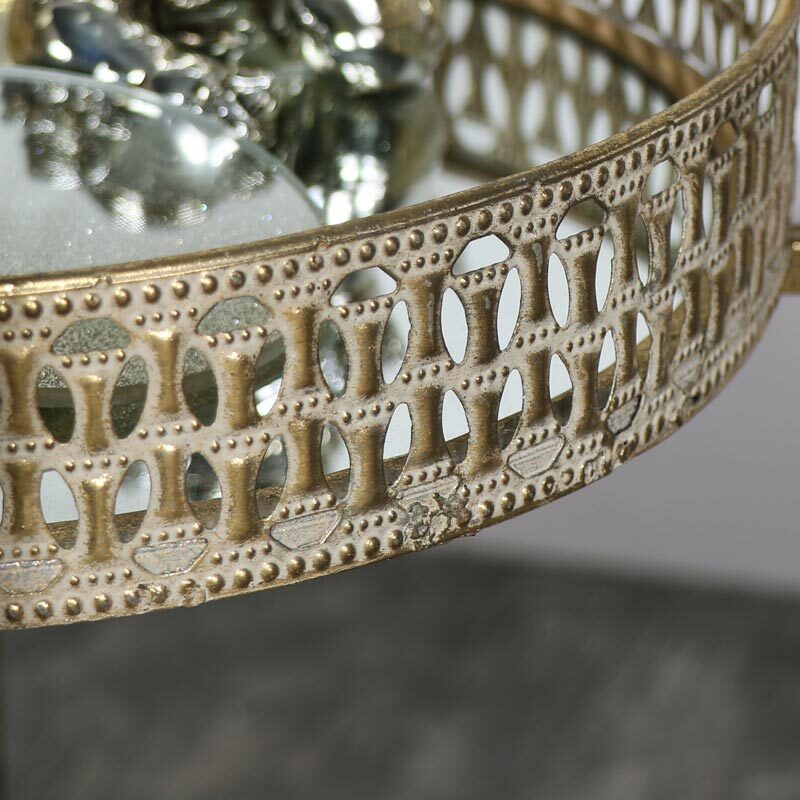 A round mirrored top, encircled with ornate cut out patterned detailing and sat on gold legs that will add that feel of elegance and sophistication to a living room. Measuring 30cm in diameter, this makes the perfect little serving tray or use as a glamourous coffee or display table. Use as a candle display, the mirrored top will beautifully reflect the candlelight and help to create a warm glow in your room. 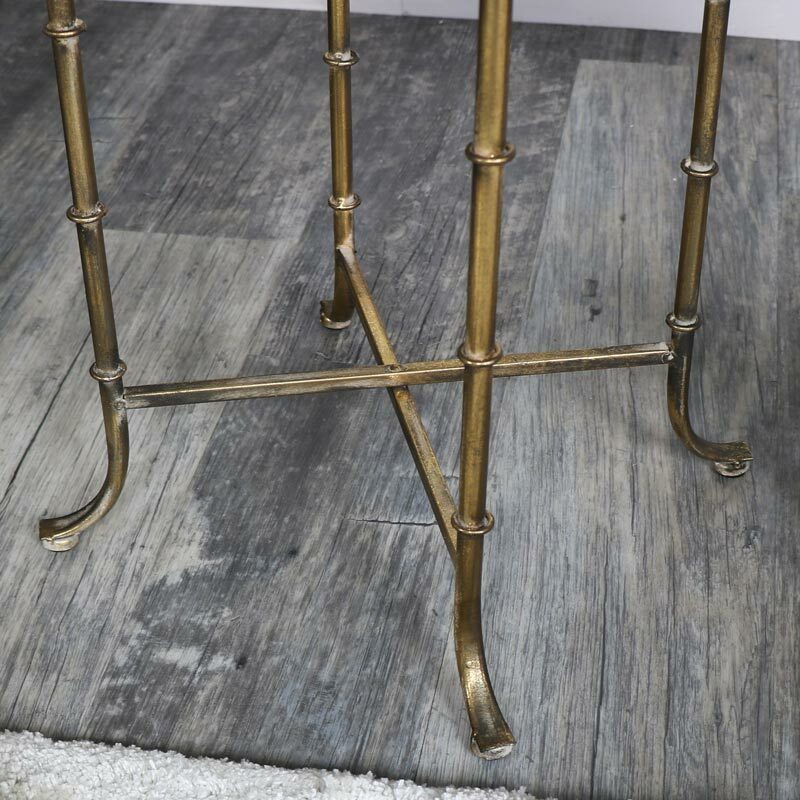 With both the top and legs made from metal and finished in a distressed vintage gold colour that adds to the appearance of age, the mirrored surface adds the finishing touch.